Have you ever looked at you room and felt that something wasn’t right? Maybe it’s your lighting. Every room should have three sources of light. These lighting sources can come from light fixtures, lamps, recessed lights or can lights, and sconces. 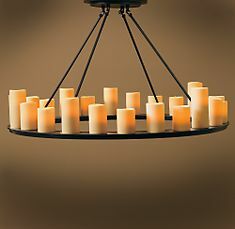 Light fixtures can be chandeliers or pendant lights and of course the lights on ceiling fans. If you live here in the Tampa Bay area you probably have at least one ceiling fan in your home and finding the right mix of function and style can be difficult. Today I want to focus on the trends in ceiling fixtures. Ceiling fixtures or chandeliers are still the trend for living rooms but you may be finding that these chandeliers look very different from traditional chandeliers. The classic traditional crystal chandelier will always be in style. There is nothing wrong with the classic, that’s why it is classic. It is a chic, stylish look and always timeless. However, the new chandeliers that are coming out are bucking that tradition. We are seeing LED lights being used to increase the light and lower electric bills. And with the ability to use LED lights new styles are possible. Schonbek has the Geometrix line that really utilizes the brilliance of new technology with beautiful colorful crystals. Not all chandeliers have crystals to make them stand out. Some new styles are using glass formations to bring the wow factor. Curry and company are using glass beads and balls. I recently found their Goddess chandelier for one of my clients that has a lot of fun mixed with a little tradition. 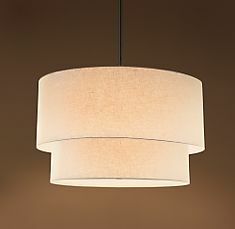 There is also a trend in ceiling lighting to add a softer textile feel to chandeliers. This translates to seeing fabrics and woods combining with metal to create a new trend. 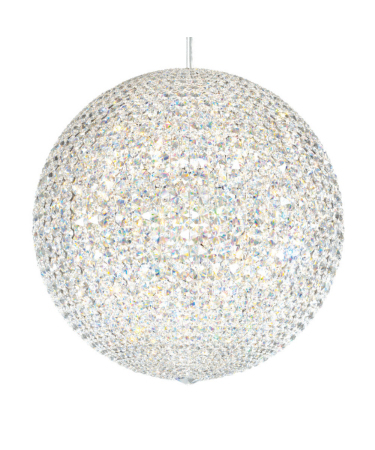 Single large pendants are being used for chandeliers to give a softer more approachable home. These casual looks are a way to get back to a simpler time. We find these trends at many different times, usually after there have been major changes in our society. After the 9 11 tragedy we went to a more homey feeling styles and now as the country is reflecting on their ecconomics we are seeing it again. Home owners are looking to create a sanctuary in their home. It does not mean that homeowners are not spending money it is more of a change in their lifestyle. It is a move toward a casual livable home, and this is reflected in the casual lighting that is showing up. 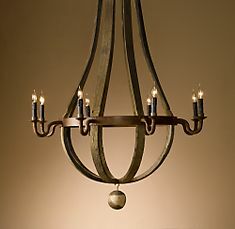 We are still seeing a great deal of the candle style chandeliers. These are very popular and mix the soft casual with a bit of formality. They are not the traditional crystal fixtures but not as casual as the fabric pendants. They also give off a filtered light that softens the entire room. These are a good answer for the home owner who does not want to be as formal as the crystal chandelier but wants more that simple pendants. Another trend that I feel will be around for a while is the use of wood in chandeliers. This is again a more causal fixture but in the right setting can be very elegant and chic. I am in love with the living room with sofas in linen fabrics with traditional hand-knotted mahal rugs, glass and metal coffee table and distressed dark wood end tables using these wood chandeliers. It is a causal but timeless look that anyone can be at home in. The are a few things to remember when deciding on lighting. The first is are you going to have enough light for the room to function. The second is are you going to want to see the fixture for many years to come. And third is do the fixtures work with your furniture style. If you can answer yes to all of these you have the right fixtures for you. ← Accessories and artwork are the finishing touches. Hello, I want to subscribe for this weblog to obtain latest updates, thus where can i do it please help out. There is a link on the sidebar where you can subscribe. Thank you for checking it out!